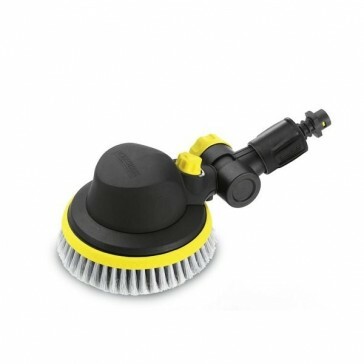 Rotating washing brush with joint for cleaning all smooth surfaces, e.g. paint, glass or plastic. 18° infinitely adjustable joint on handle for cleaning difficult to reach areas. For cleaning all smooth services. Gentle-action rotating bristles and 180° adjustable joint for cleaning difficult-to-reach areas.